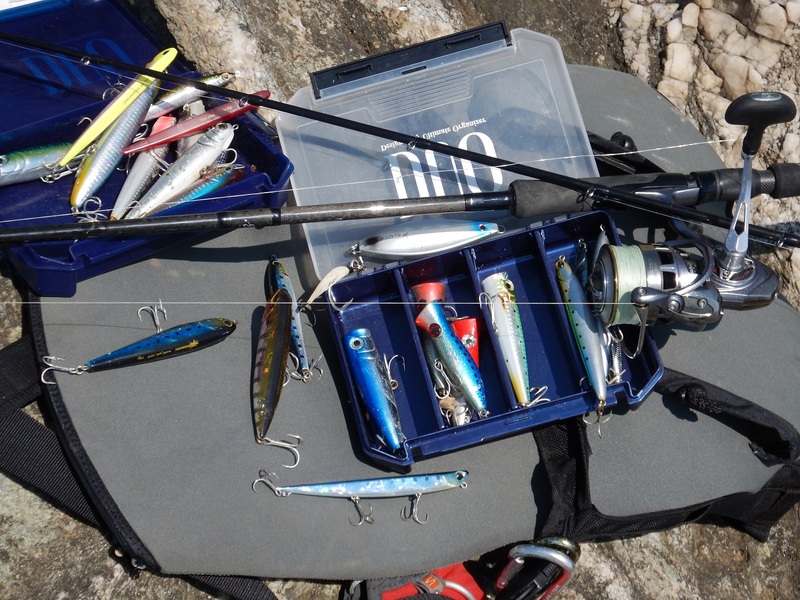 Top water lures like WTD’s, skippers, poppers, splashers etc, are among the most exiting lures to use and personally I declare that they are my favorites. Even if the attack is unsuccessful, the fact that you can see a predator attacking your lure on the surface is something really adrenaline pumping. But one very common mistake is that many anglers use their top water lures with the normal gear that they use for their minnow fishing. This in most situations is not the best choice and as a result they have very poor results, considering that top waters are not effective. Well the same story went once with me before many many years. Back then my normal fishing rod was about 2.90m with moderate action and stacked with a reel of a size 2500 with a gear ratio 5.1:1. As you can imagine, trying to perform a nice WTD action was a bit hard and my wrist was killing me after some time. 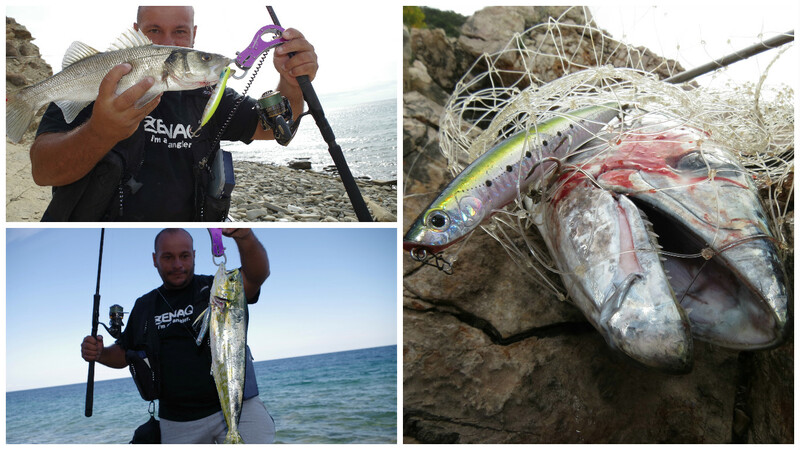 Top Water lures are very specific lures and for sure they need a lot of our attention and specific rods and reels. Let’s start with the rod. Splashers and Walkers need “sharp” ready to hook rods! 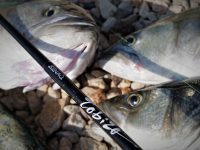 Even if there are rods specially made for top water lures, it doesn’t mean that we really have to buy one of them. I will explain what we really need, what are the situations we have to consider and then I’m sure you could try to choose the right rod for yourself. But why top water lures need so much attention on the rod? Well it is very simple. Contrary to minnows that while retrieving, they apply a tense to our rod, something that make them ready to hook the attacker, top waters are basically on the air. Because of the lack of the lip, the resistance they apply on the rod is minimum. As a result, if the rod is moderate we are going to have lots of unsuccessful strikes and poor walking action. What we need is a fast action rod and sometimes extra fast rods can do the job but they are more susceptible to epidermal hook sets. So it is important also that the tip action to have enough power to set the hook deep and secure. Don’t forget that on top water fishing the fish is only 50% of the times is hooked from the jaws. The other 50% is hooked from other spots like head, back, tail etc! Another thing with the top water lures and especially the walkers, is that all the action is derived from our wrist. That means that the shorter the rod is, the more sharp and perfect action and control we will apply to our lure. The longer it will be, the more it will tire our wrist while use and the least perfect control we will have. So as most of you can guess, we have to sacrifice some casting distance in order to have the best action and control of the lure. 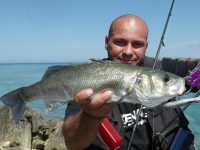 Personally I believe that rods from 2.40 to 2.75 the most, are ideal for top water lures. If you wonder about poppers that they do apply enough tense on the rod during use, the same things we need on them also. 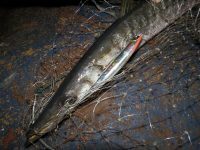 Exactly because they “consume” much action of the rod during “popping”, the fats and aggressive rod will hook excellently the attacker both during “popping” and “resting” moment. So what we need in all situations is a fast, light, aggressive and medium length rod for the best results on top water game! You know my love about High Gear reels and top water lures are going to justify it once more! When we deal with lures like top waters that demand perfect “contact” and control, a fast reel will provide perfectly these qualities. It is true that someone can perform very nice walk the dog with a normal gear reel, but with the use of a high gear reel, the potentials are multiplied. 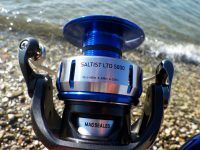 For example you can control much better the walking action, making it longer or shorter, not to mention that you can perform it flawlessly even with lateral wind, something impossible with a low gear reel. 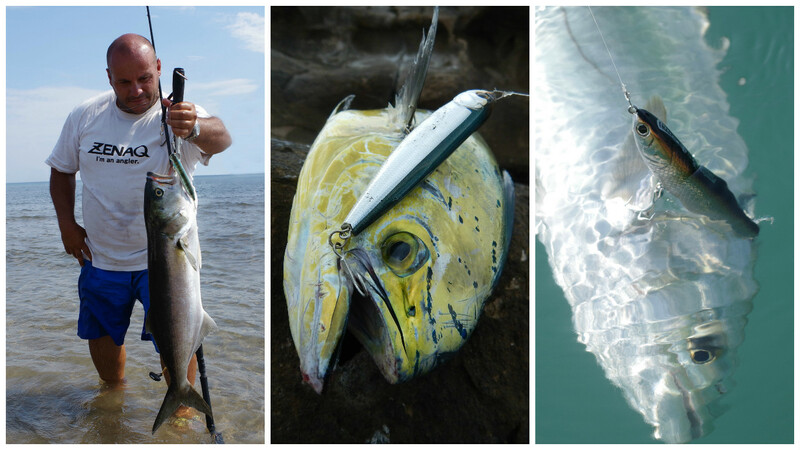 Not to mention the skippers, lures that demand super high retrieve in order to work perfectly. So more or less, you are going to need a high gear reel if you really want the best of your top water lures. Personally I use High Gear Daiwa reels of size 3000 for most situations and only for lighter sea bass game I go down to 2500. 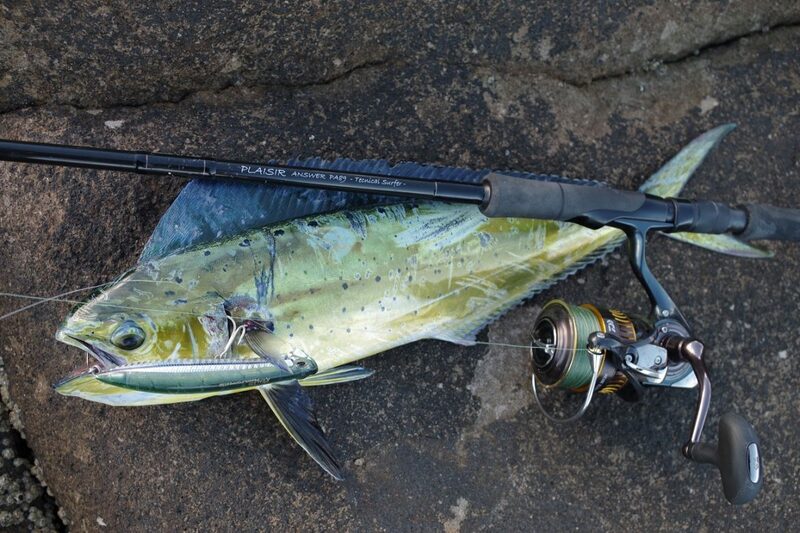 With the combination of a reel as above and a rod with the specs mentioned, someone can expect to change completely the top water fishing as he knew it, and master flawlessly his “top waters” and all the fish that are fond of them. So keep splashing! Shore Jigging: With one or two assist hooks?